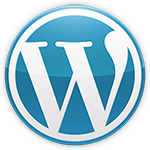 Not only is Minicorp compatible with the latest version of WordPress but we have also made vast tests to ensure FULL compatibility with the hottest WordPress 3.6 version which is still under development and available only for developers. 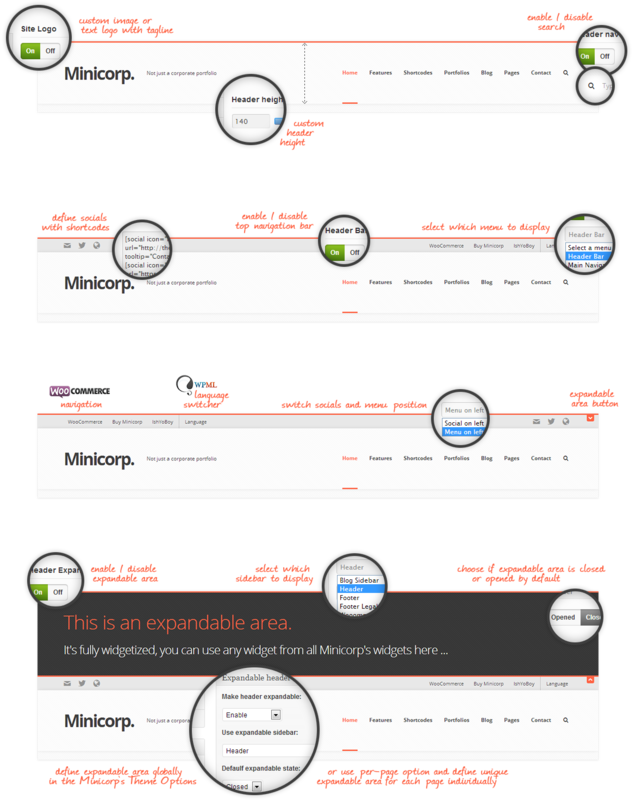 Minicorp comes with an outstanding set of more than 35 shortcodes available to help you assemble the content just in seconds. Whether you are a developer or a newbie you will be able to make thousands of combinations. Would you like to create multiple portfolios? Multiple portfolios in Minicorp are presented by 1st level categories which can of course have sub-categories. 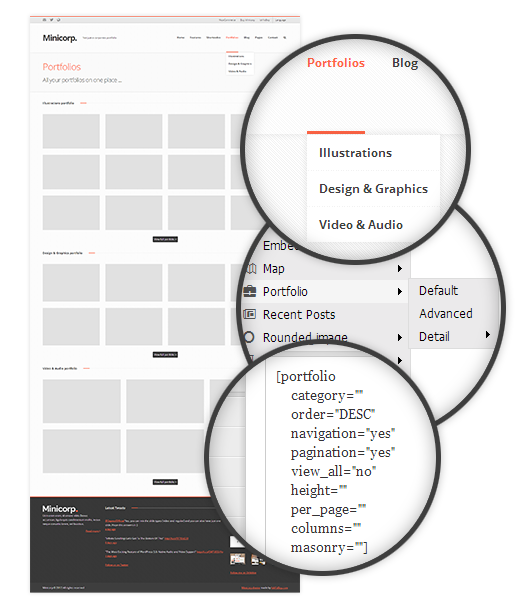 After creating 1st level categories / portfolios simply use portfolio shortcode to call specific category / portfolio. … now you don’t have to imagine because Minicorp has all these. 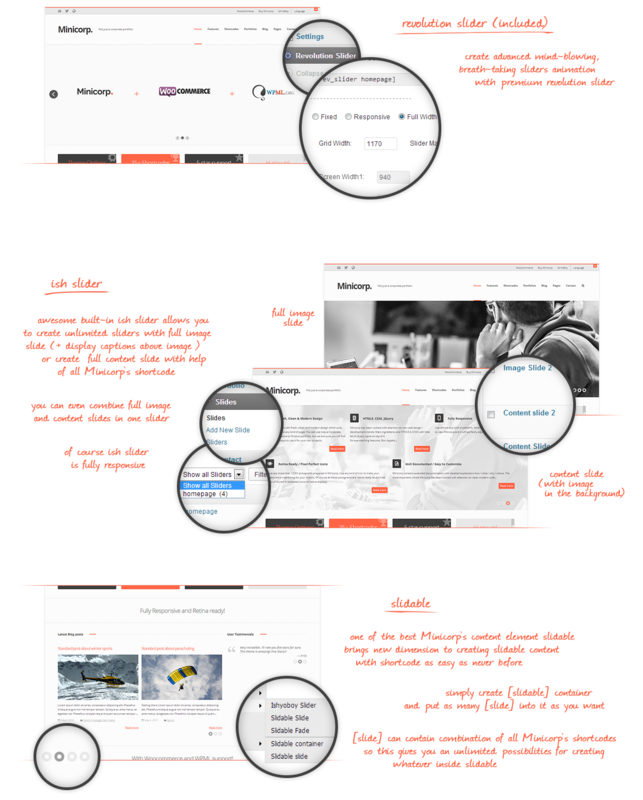 With Minicorp’s styling option you can customize each detail of your page. Blow your visitors away right from the start! 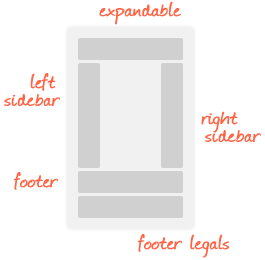 Minicorp brings nested columns up to depth 3 – nested1, nested2, nested3. 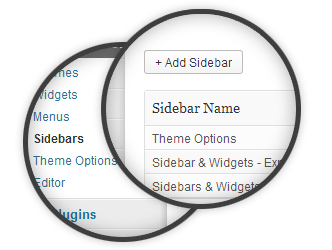 Don’t be limited by the default WordPress functionality which does not allow you to use a shortcode inside the same shortcode (nested shortcodes). 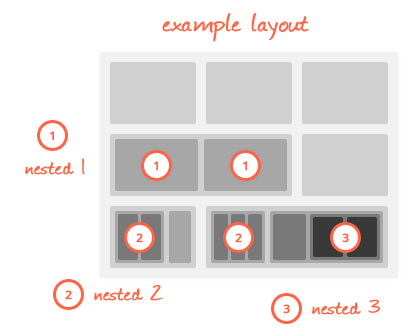 Now you can create really complex layouts very easily and quickly. 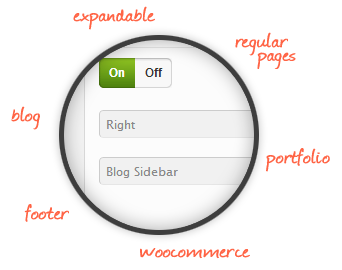 Want to see the nested columns in action? Based on our previous customer’s experiences and feed-backs we can guarantee the best 5 star support. 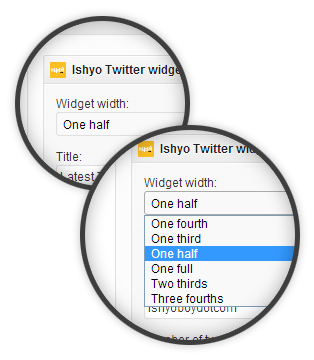 I had a little bug, ishyoboy quickly helped me and changed complex php files so the problems could be resolved. Use any of 1000+ Fontello retina ready icons included in Minicorp theme. 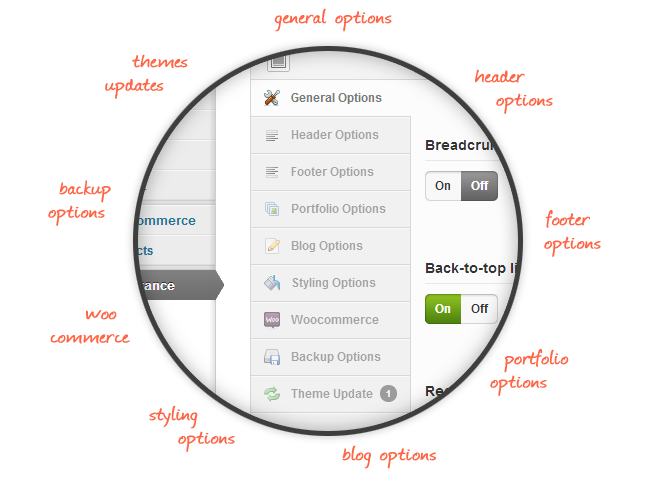 Minicorp comes with an extensive Theme Options. You can set whatever you can imagine from basic things as uploading your logo, favicon, custom CSS code or custom tracking code to advanced features such as setting your own 404 error page, customizing your header, footer, portfolio, blog and styling theme including colors, patterns, fonts … and a lot more. 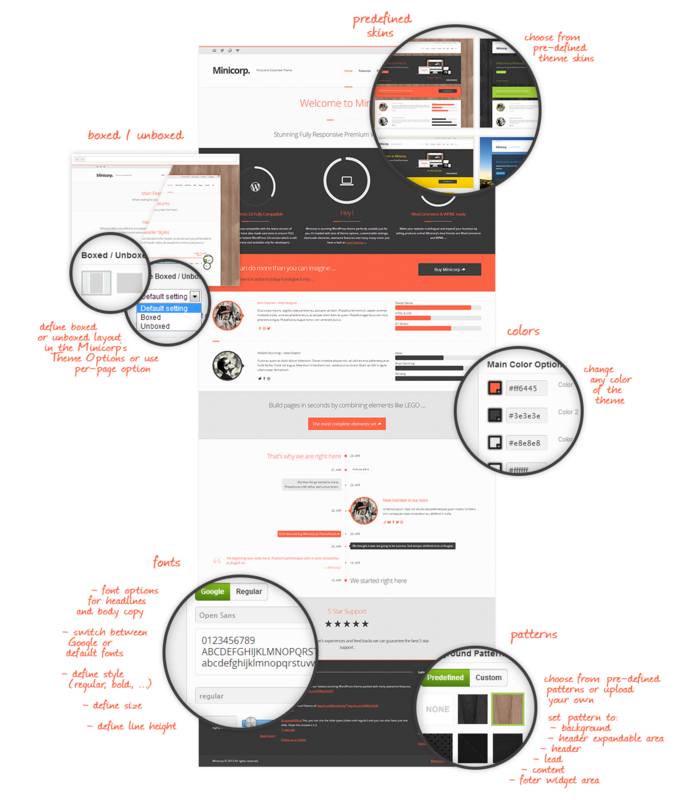 Just have a look at screenshots from Minicorp Theme Options. No needed to set up the whole theme and create all pages from scratch. 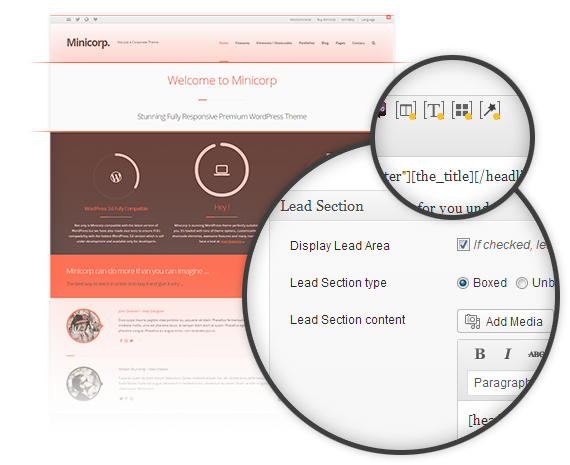 Minicorp includes Theme Options and all the demo content that can be seen on the live version. 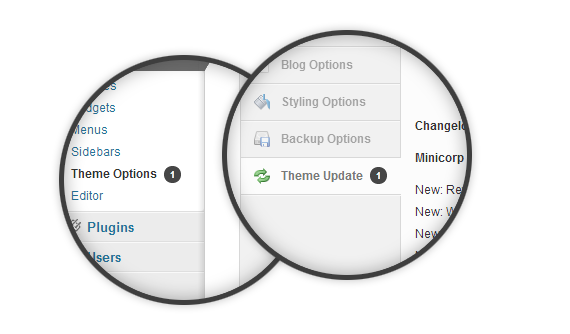 Minicorp updates checker allows you to be automatically notified when there is a new Minicorp theme update available. 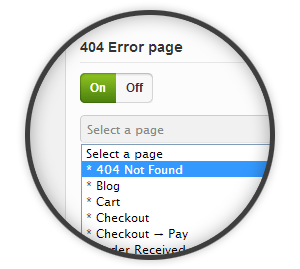 Bored of ugly and non-creative 404 error pages? Serving the Boise Metro Area and other national areas, big and small.